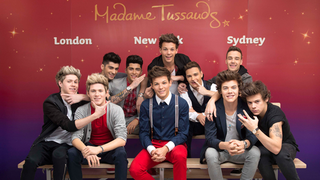 Since the beginning of recorded history, humans have been memorializing the hottest and most famous among them in wax. The figures created by Madame Tussaud and her army of artists and are so lifelike that you might find it impossible to tell them apart from the real thing. Don’t believe me? Check out the sliding images below and see if you can tell the difference between living celebrities and their perfect wax counterparts.